Had to chime in. I absolutely love the work you've done. I think my top three have to be Iowa, California, and Arizona (the word marks are brilliant). The best thing about this though has to be the detail and history that you've put into each team, and the league as a whole. I actually came across this forum by googling "Portland Loggers" and found an image of your caps. I'm actually planning on doing an expansion and re-organization of Major League Baseball in my latest OOTP 16 league and had settled on Portland Loggers to be one of the two expansion teams. I'll probably change that now, seeing how it's not as original as I had thought but I wanted to say kudos on the fantastic work. Looking forward to the next team! By the way, did you look any farther into OOTP as the simulation engine for your league? I'm attempting to use oopt, but the issue is that the fantasy draft made some of the teams different from how I created them. By that I mean the player personalities don't match up, so there isn't a way to correct that. Am I making sense? 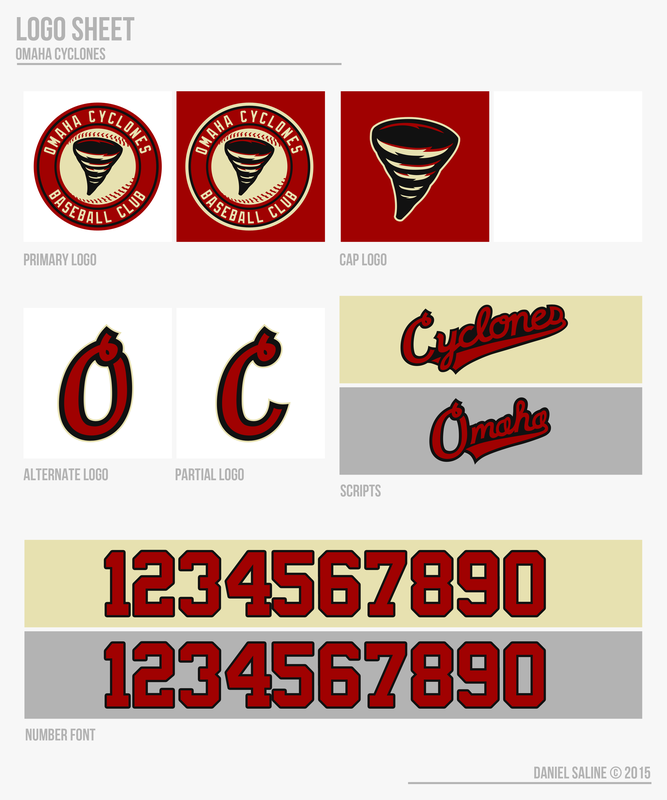 Here's an updated Omaha, team 11 will be up tomorrow. In case you aren't zooming in, there's a thin cream outline outside of the black on the white alt on both the lettering/logos and the piping just to tie the set together. I'm not 100% on that. I am extremely new to the series myself (just got it last week). I think you can edit players ratings but as far as personalities, I'm not sure. Can anyone else shed some light? Founded in 1925, the Pittsburgh Flying Shearmen are another team who has outlived the USBL. 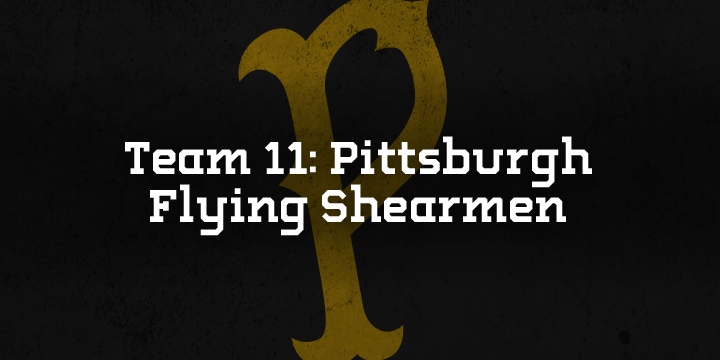 The team’s official nickname is the Flying Shearmen, and are commonly referred to as such by fans and broadcasters, although it is shortened to Shearmen from time to time. The name was given to reflect Pittsburgh’s heavy steel industry and the flying shear. The team wanted to distinguish themselves from the Pittsburgh Steel, a former soccer team in the 1920s, but still wanted a name that honored the business for which the city has become so famous. The Shearmen won their first title in 1931, the league’s second season, and have taken the crown a total of six times, most recently in 1999. One of these championships came in 1945, led by Leroy Jenkins, one of the greatest third basemen who has ever played the game. The next season, however, their owner, Clarence Beesworth, died of a stroke and the team was sold to a group of investors. The Flying Shearmen were essentially run into the ground and nearly moved out of the Steel City because of a sheer lack of money. Many of their best players were dumped because of this, including Waylon Queen, Josaiah Cowles, Junior Thorne, and Danial Donaldson, the four top talents outside of Jenkins. The team was sold again to former player and entrepreneur Jhonathon Sepulveda, who resurrected the franchise and promised to keep them in Pittsburgh. Although they didn’t win another ring until the 1970s, they never left the city. The Shearmen are another average team. They don’t make a lot of noise in September and October, but their reputation makes up for it as a ballclub. Franchy Carroll is a consistent All-Star in left field, coming off of .326/.412/.682 slash line with 32 homers while playing all 162 games, one of 3 players to do so in 2014. At age 31, he’s been in Pittsburgh since being traded from New York in 2007, and has been the fan favorite ever since. John Clary is a rising catcher for the Flying Shearmen, throwing out nearly 35% of would-be base stealers. While his offense is lagging, his leadership behind the plate should keep him in the Bridge City for a long time. 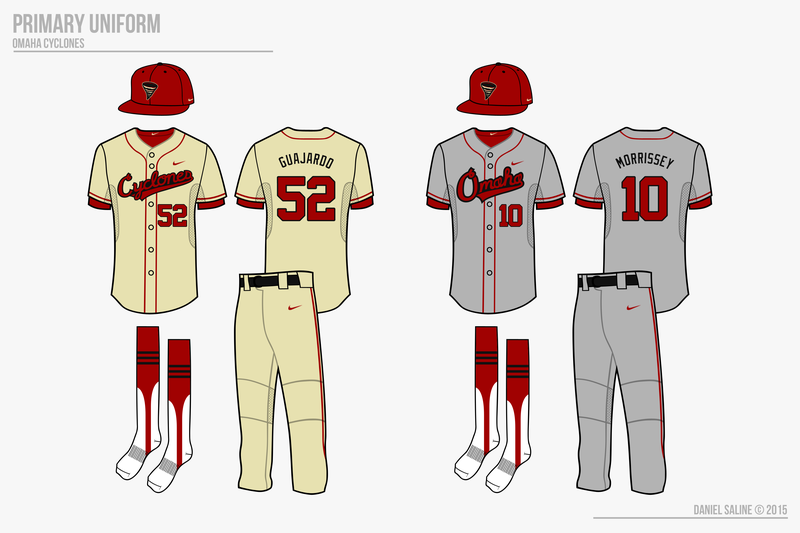 The Flying Shearmen’s look is dubbed an “oldie but goodie” by everyone in baseball. Black and yellow are the two primary colors, just like the old Pittsburgh Steel. Red was added as an accent in the 1990s, but only as a trim color. One unique quirk about their identity is the sleeve numbers. 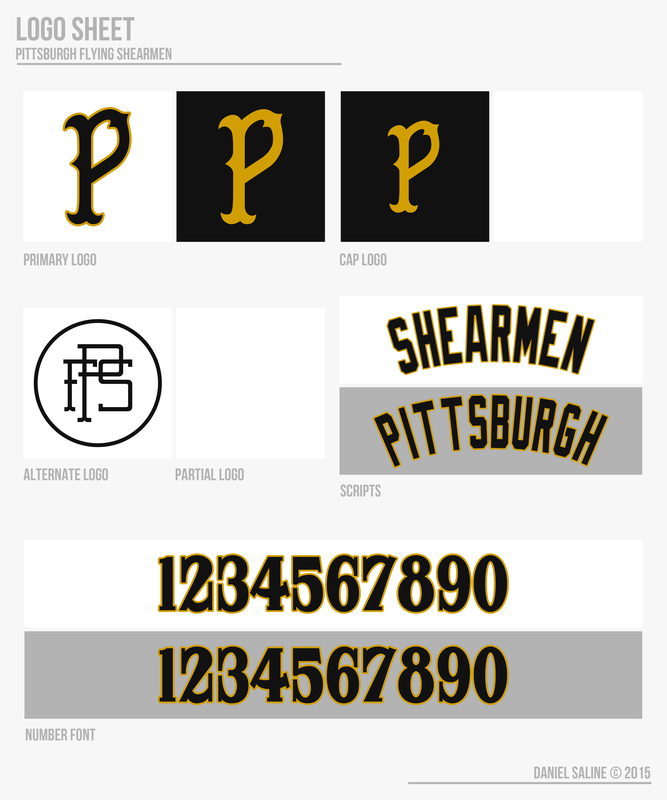 In the early days of the USBL, sleeve numbers were fairly common, but the Flying Shearmen are the only ballclub who carried that look out of the 1960s. The number font itself has remained nearly the same their whole existence, adding to the charm of the set. On the right sleeve, the alternate “PFS” monogram is inspired by the Pittsburgh and Lake Erie Railroad’s logo and tie to the city. The team actually has 3 slightly different variants of their classic P logo: one used in print, one for the caps, and one used on the batting helmets. The scripts are adapted from the 40s and 50s when the team wore a vertically stretched block font, but the black pinstripes from that era were swapped out in the 60s for a cleaner all-white set. 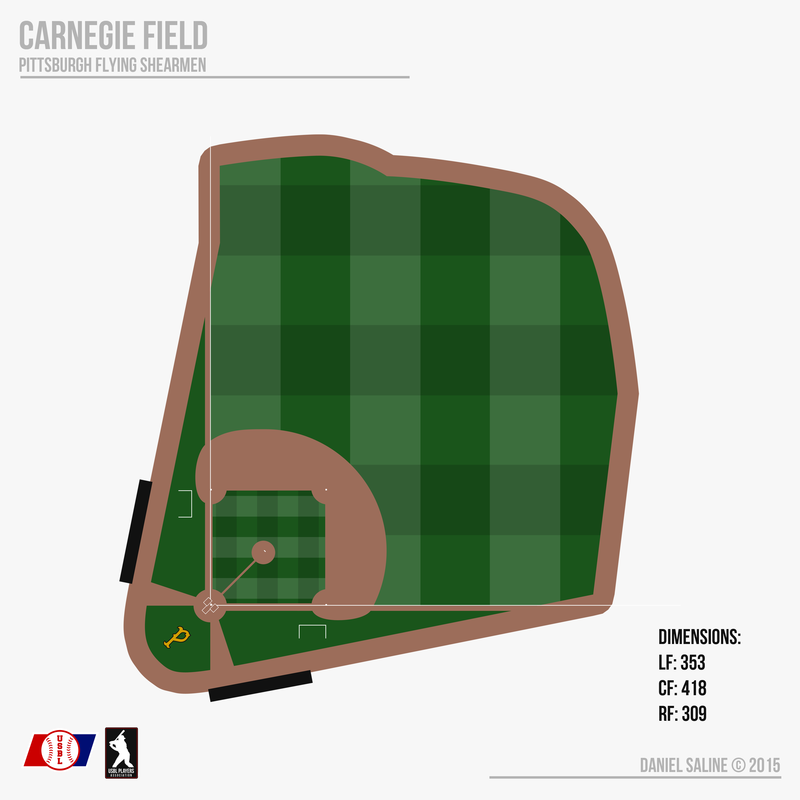 Carnegie Field is the oldest stadium in all of baseball, which opened in time for the Flying Shearmen’s inaugural season in 1925. The jut in left field used to be farther out, but the wall was shortended to take the flag pole out of play in 1968. The pole was only hit once, but was infamously known for when Knights center fielder Martin MacDonald collided with the pole in 1967 and sustained serious injuries. MacDonald survived, but was not expected to walk again, but he became a living miracle as he not only walked but made a return to baseball. MacDonald rose as far as the Triple-A level in the Knights’ system before ultimately retiring from baseball. Carnegie has a large section in the outfield with no seats, spanning from MacDonald’s Porch, as it is infamously known, to the right center gap. An ivy wall runs that entire distance behind the outfield fence and serves as a massive batter’s eye with a concourse running behind it and a bleacher section over the top in center field. Carnegie Field is one of the few ballparks left to have an off-kilter backstop behind the plate. 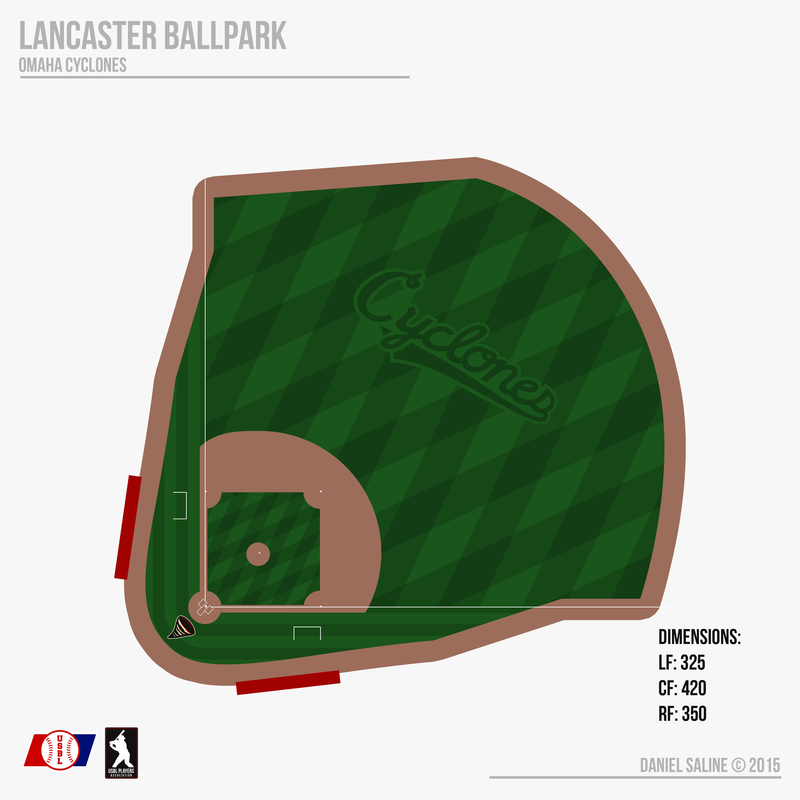 The field also has a lot of excess dirt--from the dugouts to the home plate circle, a classic USBL look; a cutout from the plate to the pitcher’s mound; small half-moons outside first and third base; and dirt going down the foul lines. The line is on grass, making it an easy call for the umpires. C&C appreciated! Thanks for following, I hope you're having as much fun as I am. That white patch doesn't look good at all on the grey jersey. Otherwise, it looks nice. Very similar to the Pirates. ^^^ normally I would agree, but this is another relatively old design for a classic team. The patch has been around for much of the team's existence, so any flaws associated with it have become pretty much ignored by fans. 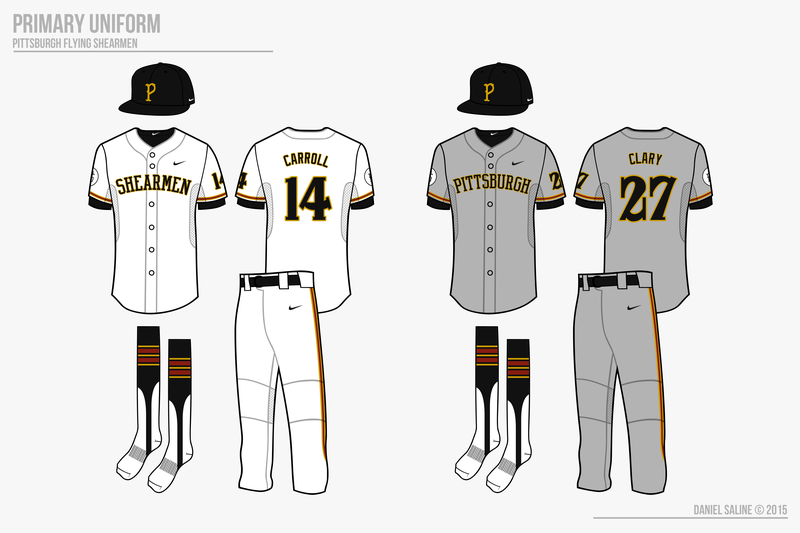 Also there are several teams with largely white patches on grey jerseys in the MLB, so I wouldn't say it's unprecedented. Thanks for the response, though! I love that "P" logo for Pittsburgh. You did a great job of capturing that classic feel while differentiating from the Pirates. I like the small amount of red as well—it works nicely. I'm not feeling the wordmarks, though. I don't mind that you used a block font with the fancy "P" and numbers, but the fact that it's stretched is bothersome. I would either take the original font and condense it yourself by adjusting the vector points or find a more condensed block font. Thanks, mbannon! I wanted to give an old-time look with the extended block script. Perhaps I need to go the way of the Yankees with their road script and see if that's a better idea. I love that "P" logo for Pittsburgh. You did a great job of capturing that classic feel while differentiating from the Pirates. I like the small amount of red as wellit works nicely. I'm not feeling the wordmarks, though. I don't mind that you used a block font with the fancy "P" and numbers, but the fact that it's stretched is bothersome. I would either take the original font and condense it yourself by adjusting the vector points or find a more condensed block font. Yeah, the extended letters are fine, but it would look better with a consistent weight within each letter. The Yankees' "New York" wordmark would be a great reference point. To me I only see 2 uniforms posted 3 times. I must not be able to see anything right now. 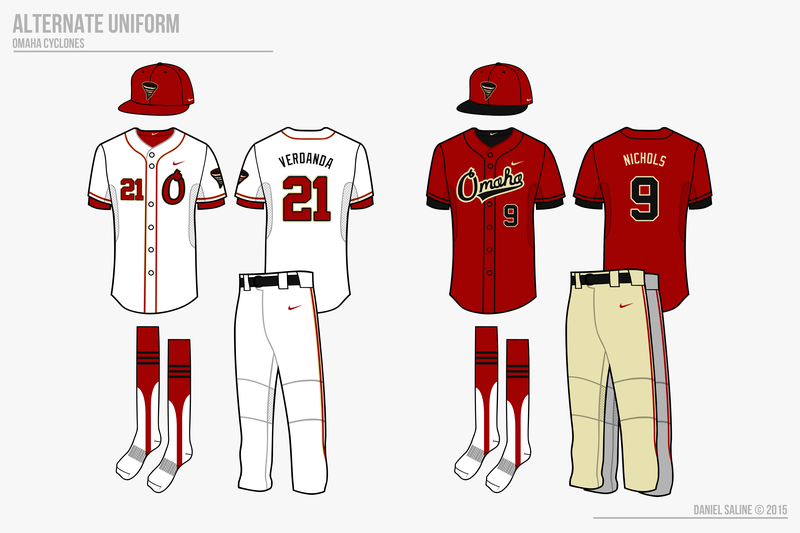 Both of the alternates that I see look good though. I especially like how Colorado turned out. Great series so far! Looking forward to the rest of it. The number placement is different. The first set has staggered numbers, the second has even numbers, and the third has no numbers. By that, do you mean the original? Oh my goodness I must be blind! I liked the one without the numbers the best, but the one you used was my second choice. Looking at it a second time I love the use of cream for Omaha. It reminds me of the covering of the prairie schooners. You did a really good job coming up with the history for the Shearmen. How long does it take you to come up with the history for each of these teams? I like the minor use of red for the Shearmen to differentiate from the Pirates. Good Work. You did a really good job coming up with the history for the Shearmen. How long does it take you to come up with the history for each of these teams? I like the minor use of red for the Shearmen to differentiate from the Pirates. Good Work. That history took an hour or so. It's fun for me to write about the classic teams because I can't necessarily mess it up and it makes it more entertaining to have some freedom with it. 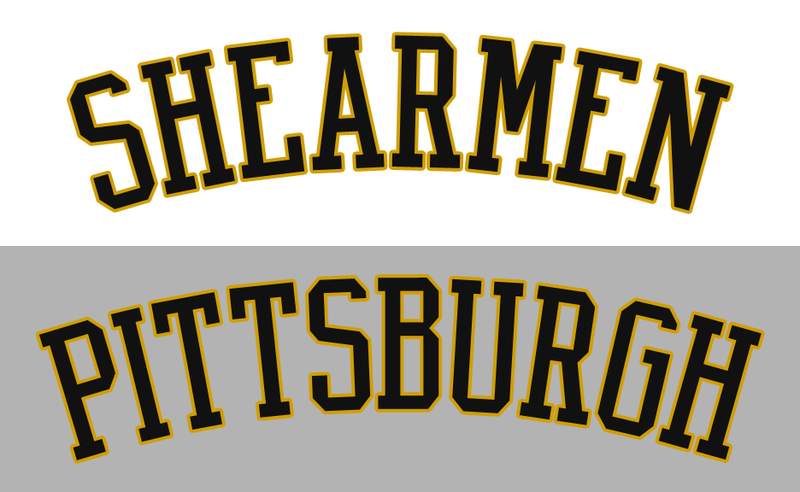 Okay, I attempted to fix Pittsburgh's scripts, how does this look? The stretching is fixed, but I don't like that the scripts are shorter because of it. If you could find a way to keep the original height without stretching the font, I think that would look best. If not, what you have looks good! I just came across this thread today and I have to say I am pretty impressed! This reminds me of the History of a fictional football league thread by Veras. I am just curious if after you are done finalizing all the teams, do you plan on showing a season by season final standings/playoffs and championship? I think it would be cool to see the history of the league. The description of each team is very well thought out and makes you want to read more! Well done. Thanks, hopefully I understand what you mean and I'll give that a shot this weekend. I might list the champions of previous seasons and stats for the 2015 season, but that's about as far out as that'll go. Thanks, it means a lot to be put in the same category as Veras! I'll try to get the next team up tomorrow! Much improved....really fits the unis better. Love it. The high middle bars on the B, E, G and H and the angled middle bar on the S give it some nice character. Thanks! Hopefully I gave some consistency and good aesthetic without making it void of charm and character.